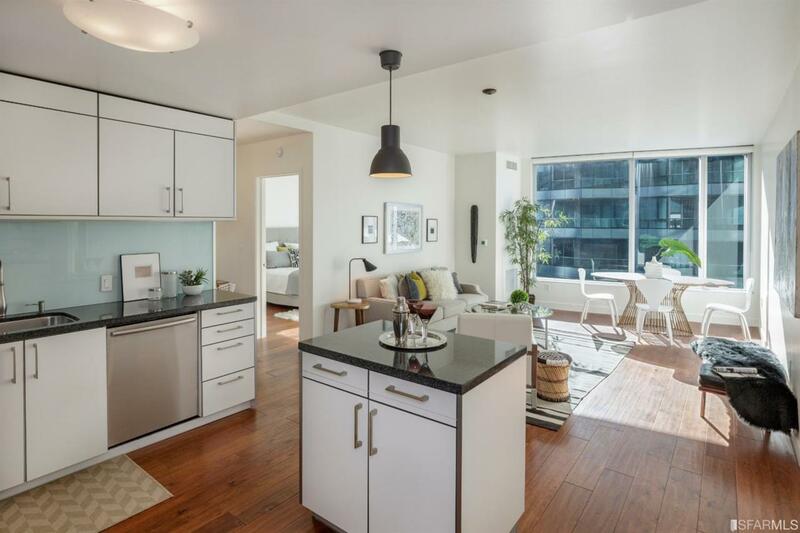 This desirable 1 BD 1 BA home features contemporary design touches, refined finishes, and access to a long list of resort-style amenities at the Infinity. An optimized 800 sq. ft. of living space offers a dynamic open-plan living room; inspired chef-grade kitchen with natural stone counter-tops, Thermador refrigerator, premium Bosch appliances, contemporary Studio Becker cabinetry; a stunning window line with city views; and a spa-like bathroom. The dedicated bedroom space features a well-sized walk-in closet with custom closet organizers. Enjoy easy access to the Embarcadero Waterfront, Financial District, BART, Muni lines, world-class shopping, dining, and entertainment. Lease Term Comments Contact Listing Agents For More Detail.